Posted on August 21, 2013	by Platanos, Mangoes and Me! This month’s Creative Cooking Crew theme was either a fruit or vegetable presented three different ways. I decided on fruit…that gorgeous cucumber…refreshing, low cal and delicious. I used cucumber, of course, frozen grapes, gin, sake and lime juice adapting this recipe from Epicurious.com. Greek yogurt seasoned with mint and basil, basil mint infused virgin olive oil, salt and pepper. 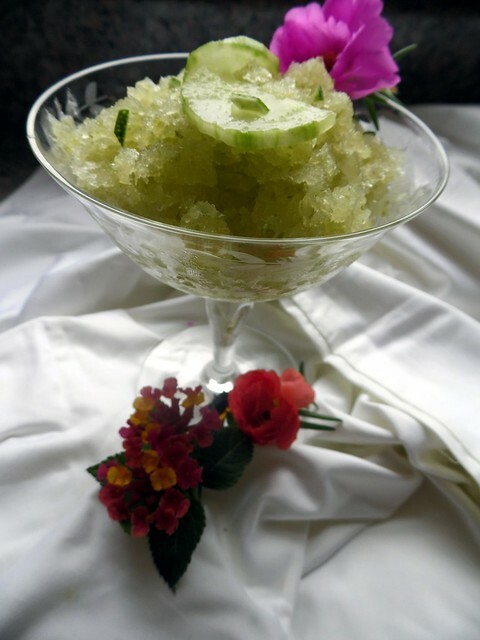 The granita was just simple syrup, cucumber juice of one lime and its zest. One of the most refreshing things I have ever tasted. I am hooked on granitas. Very creative and refreshing ideas, Norma! Great job! It is no wonder you and Joan are such good friends. You share this insane creativity that I so admire. These recipes are just another example of a good mind put to good use! Que delicioso se ve todo!!! Recetas diferentes y deben ser muy refrescantes!! Las fotos espectaculares! Un abrazo! 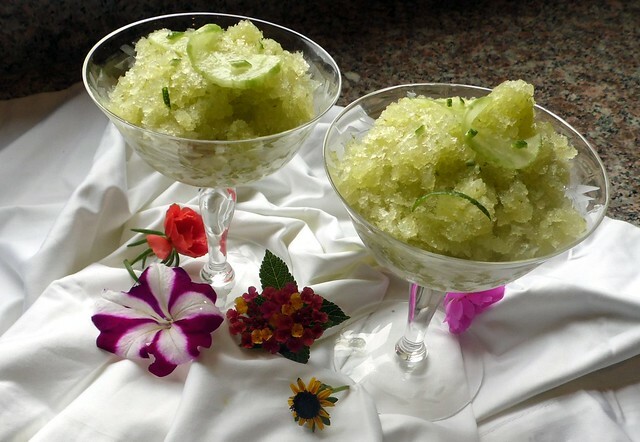 Both granita and carpaccio are stunning! Beautiful presentation! As to the Carpaccio, sounds interesting– a new challenge to my palate!! 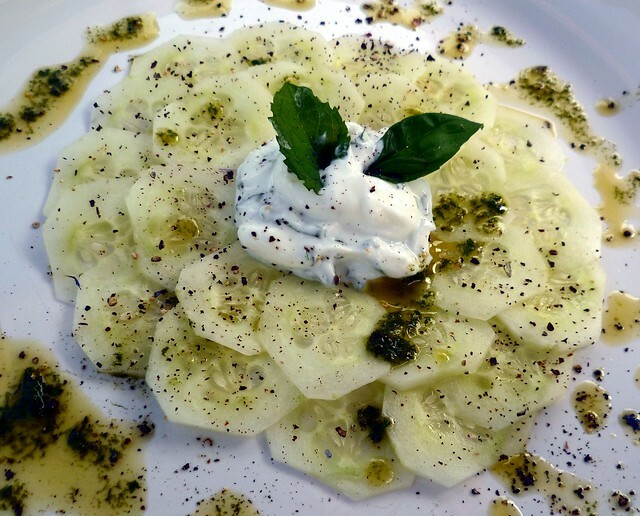 beautiful…and cucumbers are so good for you! 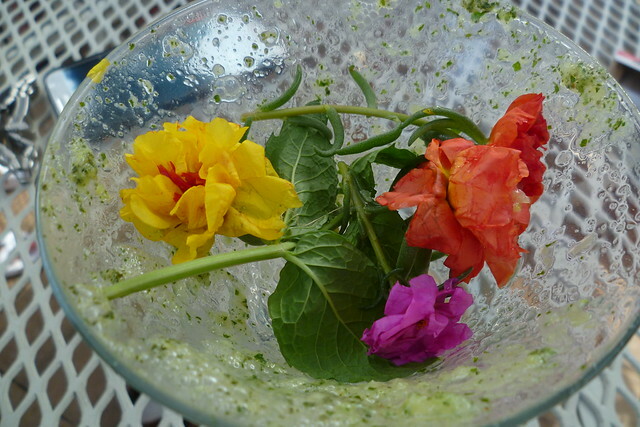 Love what you did with this challenge — 3 perfect summer recipes and beautiful presentations. Most refreshing! So summery. Awesome Norma! Cucumber is one of my favorites. It really is so refreshing. I love all three of your dishes because they allow the cucumber to really shine! Great job with this challenge. The martini looks boss. A great choice and a challenging one I find, I am especially sold on the cocktail! Nothing says summer like cucumber. All of your takes on the nimble fruit are glorious. I want to do the carpaccio tomorrow! 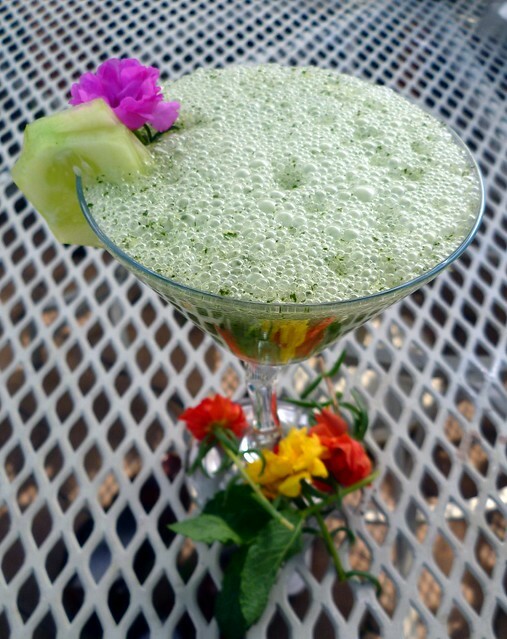 These are all so inspired and refreshing takes on cucumber – I love it! Great ideas…I especially like your granita as it sounds so refreshing. This is lovely! I too really enjoy how fresh cucumbers are (totally prefer cucumber water to lemon water), and your trio consists of three very refreshing components! Yum. Norma you have taken an often over looked vegetable and transformed it into the cucumber belle of the ball. You KNOW you had me at martini! That looks sooo refreshing and good.